Is Christmas shopping making your budget melt? Don’t worry, you can still have fun on the cheap with everything from exhibitions to festive lights. Ever wanted to check out Melbourne’s hot rooftop hotel, where luxe Airstream caravans, a spa and alfresco city views await? Then get yourself a free ticket to Notel’s inaugural Rooftop Foodie Market. You’ll need to fork out for the fab food on offer, but what a priceless experience. Saturday 1 December. There’s an amazing array of free sights, sounds and experiences for the whole family during Melbourne’s Christmas Festival. The centrepiece of the Federation Square festival hub, aka Christmas Square, is the 16-metre Christmas tree. 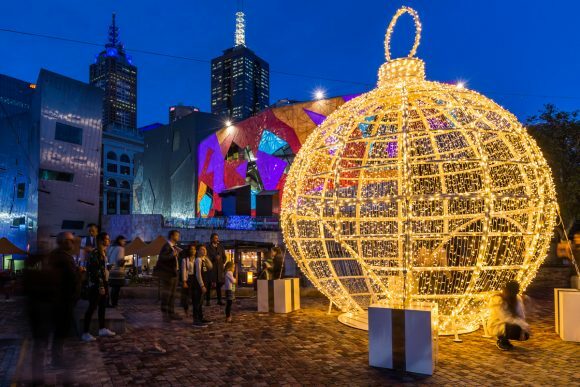 Other highlights include Santa’s House, festive films and projections, and the return of Melbourne’s best Yuletide selfie spot, the Giant Christmas Bauble. Queensbridge Square will also be filled with thousands of brightly coloured ribbons and a bespoke artwork from Melbourne artist Ash Keating as part of Ribbons for Life, a new Insta-worthy interactive installation promoting TAC’s Towards Zero vision. Discover more of what’s in store with our guide to the Christmas Festival. Traders along Flinders Lane and adjoining alleys and arcades are celebrating the season, but in their own distinctive, creative way. The Festival of Independents promises live entertainment, installations and creations by Melbourne artists and designers (free to admire but tempting to buy!). Thursday 6 December. Did you know there’s a street market in Chinatown every second and fourth Saturday? This Heffernan Lane takeover kicks off in the late afternoon, but as the sun sets it feels like an Asian hawker market. Lights and lanterns start to glow, and the sights, sounds and scents of Chinatown Market Day’s food stalls excite the senses. Saturday 8 and 22 December. Art isn’t just about pricey blockbusters. 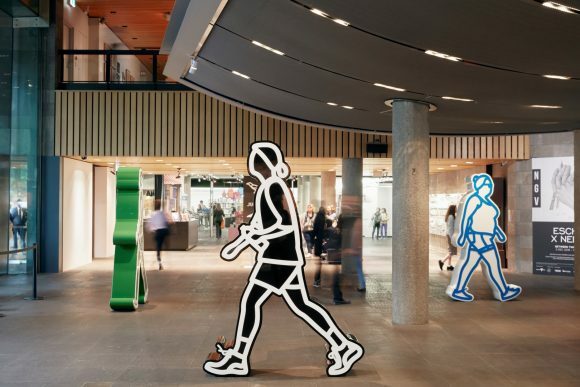 NGV International has some that’s free to see, including a bunch of works by hip Brit Julian Opie on show until 17 February. The larger-than-life animated human figures perpetually striding outside the entrance are available to view anytime day or night. Louise Paramor’s Polyphony I-IV is also free and easy to experience. Her colourful, kooky sculptures are in Arts Centre Melbourne’s Café Vic terrace until 28 January. On the International Day of People with Disability, hear from one of this community’s best known and most articulate activists. Amplifying Voices with Carly Findlay is a free talk about empowering disabled people to tell their stories and build sustainable creative careers. Monday 3 December. See what some of Melbourne’s coolest contemporary artists have been working on this year at the Blender Studios Showcase. Expect plenty of eye-popping, street-art-style works across two gallery spaces, as well as the 29 individual artists’ studios. Head to the opening night party on Friday 7 December, when DJs hit the decks with tunes as fresh as the art. 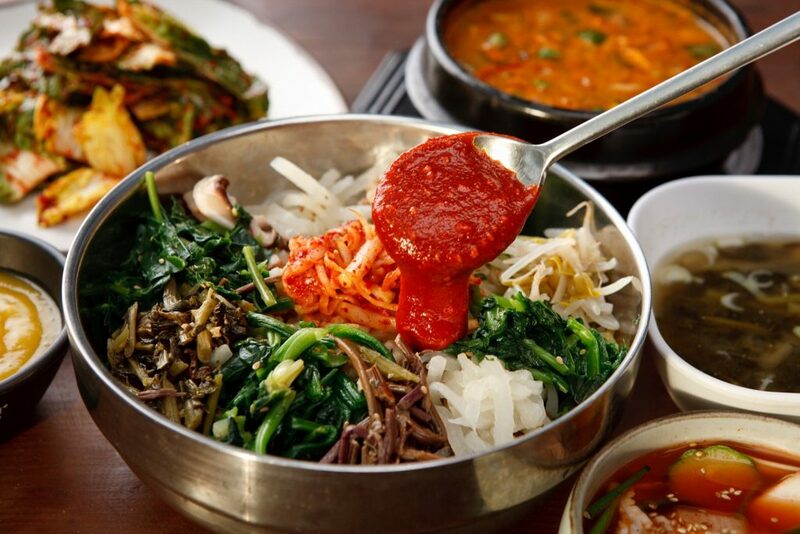 Rice is one of the world’s most popular, versatile foods, essential to countless cuisines from Spain to Singapore. Discover just how amazing it is at the Melbourne World Rice Festival. It’s a feast of cooking demos and cultural performances, travel inspiration and food trucks and stalls, serving congee, paella, sake and more. 7-9 December. Melbourne’s ‘trick-art’ gallery and Crown have joined forces to create a Yuletide gift that’s as free as a holiday hug. Discover all 12 of the 3D paintings that will immerse you and your mates in all sorts of festive scenes. From surfing with Santa to standing inside a snowglobe, ArtVo at Crown’s photo fun is social media and homemade Christmas card gold. Until 28 December. While you’re there, don’t forget to catch the ever popular animatronic Crown Christmas Atrium Spectacular. 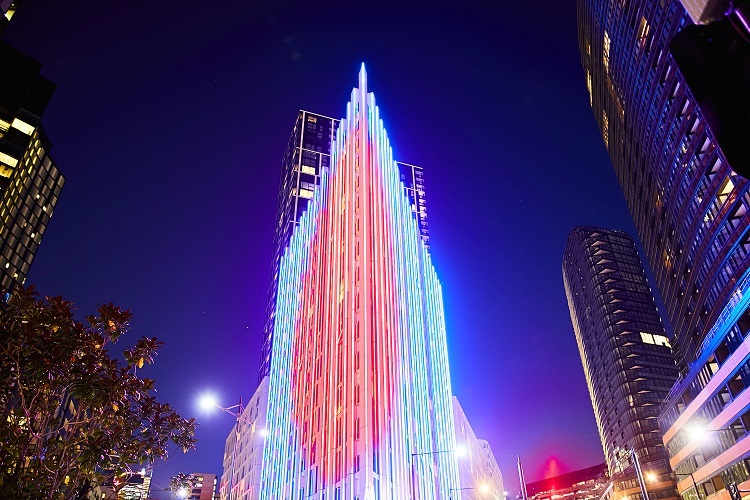 See Melbourne’s weather represented in spectacular lights on the 15-storey residential tower at the Docklands end of Collins Street. There’s an even more fabulous festive experience on the hour too. Christmas Lights at Light House is back, and the best place to see it is from Buluk Park. 1-25 December. Experience more than mistletoe, snow and reindeer at A Very Koorie Krismas. From Uncle Herb Patten’s gumleaf performance to Koorie Klaus himself, this free family event celebrates the season in totally different ways. Enjoy weaving workshops, live performances by the likes of Amos Roach, and gift ideas by Indigenous artists, craftspeople and designers. Saturday 1 December. If the budget’s too tight to celebrate Christmas in Kathmandu, you’re in luck because the Nepal Festival is coming to you. Now in its 10th year, this free event begins with a colourful street parade, then parties on at Fed Square. Explore Nepal’s rich culture through live performances, food, art, craft and information stalls. Saturday 15 December. The Indian cricket team is coming to Melbourne for the Boxing Day Test, so what better time to celebrate modern Subcontinental culture? The Indian Summer Festival is a fun, family-friendly event next to the MCG, with different experiences every day. Like the chance to meet the Indian and Australian teams! There’s loads of Indian delights to enjoy, from curry to Bollywood movies. 23, 26 and 27 December. Experience the rhythms, sounds and tastes of vibrant African culture at the African Music and Cultural Festival. 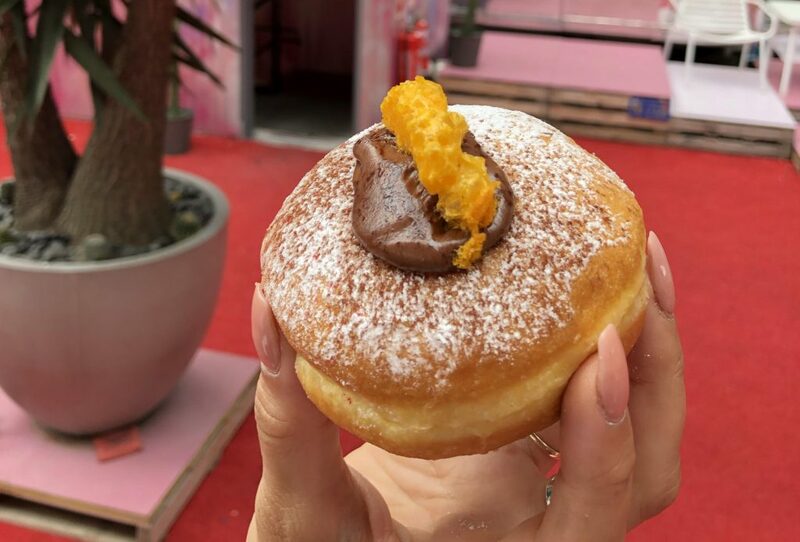 Transport yourself, your friends and your family with a festival of authentic street food, market stalls, kids events and all-day entertainment at Federation Square. Saturday 8 December.